Kathleen Kemp﻿﻿ has been training companion animals (including horses, dogs, cats and even gold fish!) for many years. Although she has a Bachelor of Science Degree in Mathematics, she has always been a keen animal lover and therefore completed minors in Zoology and Psychology as part of her Science Degree. Kathleen was a Level 1 National Coaching and Accreditation Scheme Coach with the Equestrian Federation of Australia for over ten years and in that time also assisted many an equestrian rider with their dogs and/or puppies behavioural problems. Kathleen finally decided to make the professional leap to officially become a dog trainer by gaining her Professional Dog Training Science and Technology Program Certificate through Companion Animal Science Institute, Canada – an internationally recognised positive training, behavioural science based certificate. Kathleen is a member of the Association of Pet Dog Trainers (APDT) Australia and received the Dog Trainer of the Year Award in 2016. 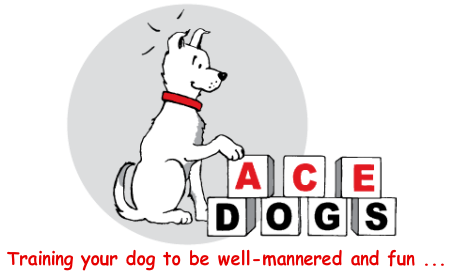 Kathleen is also a member of APDT USA, the Association of Animal Behaviour Professionals (AABP), the Pet Professional Guild (PPG) and is a CLASS (Canine Life and Social Skills) Evaluator. Kathleen presents at Clubs, Veterinary Practices and recently presented at the Australasian Animal Training Conference held at the Melbourne Zoo in November 2018. Kathleen is also the Deputy Principal (of young and teenage humans!) at her "other" workplace. Kathleen has the expertise and experience in not only training animals but also in teaching people how to train animals.